This bride and groom was photographed at Trump National Golf Club Los Angeles just after they were pronounced husband and wife. I captured this candid moment of them just before a kiss. 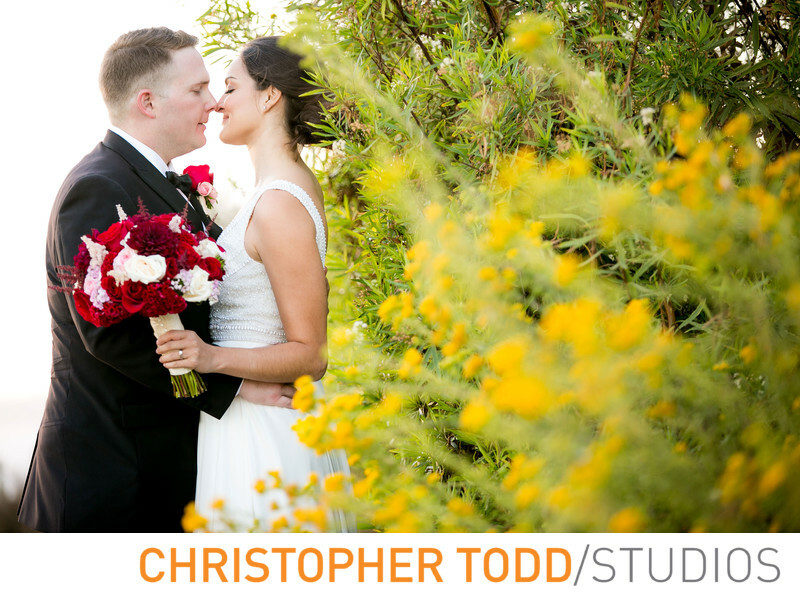 The yellow wild flowers in the foreground frame the couple beautifully. After a quick photo session the newlyweds made their grand enterance into the ballroom where guests waited for them. Location: One Trump National Drive, Rancho Palos Verdes, CA 90275. 1/160; f/2.8; ISO 320; 145.0 mm.